The Big Idea: Creating safe places inside can be a key coping strategy, and Big Bird is here to help. Traumatic experiences are a big deal…but Big Bird’s got a big spirit, a big heart, and big dreams. That’s why he’s the perfect bird to teach kids (and grown-ups too!) how to imagine the important coping strategy of creating their own safe place inside. Use this storybook, video, digital interactive, and coloring page to help kids learn the strategy themselves. Share this story with kids. I have some ideas about what we could do to help you feel better. 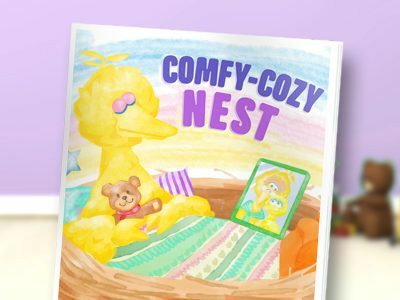 In Comfy-Cozy Nest, Big Bird imagines his safe place inside. Refer to this printable page to help kids do the same. Through this interactive activity, children can begin to explore strategies for calming and comforting themselves. 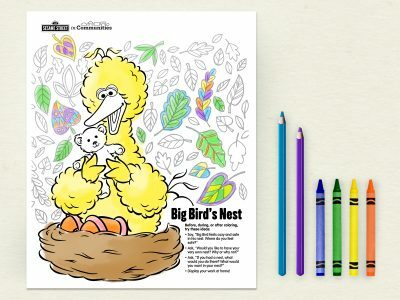 When Big Bird has big feelings, he creates a safe place in his imagination, a big nest filled with all his favorite things – like birdseed cookies and a picture of Granny Bird. Children can explore the concept of a safe place through helping Big Bird decorate his safe place. You can use this tool when kids need calming down, or any time at all. 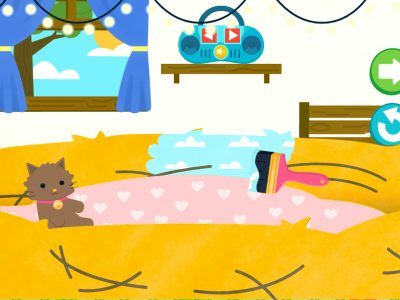 Introduce the idea of a safe place—a place you can go in your imagination to feel safe and calm (all kids and adults can benefit from this strategy)! Prompt children as needed to help them play the game. When kids are finished, ask, “What were some things you helped Big Bird do?” to see if they can remember any parts of Big Bird’s strategy. The more they play, and the more they see this video and storybook, the more opportunity they have to internalize the strategy to use later.